Town leaders in Goshen were becoming worried about the high cost of housing in their community. Some nearby communities had formed nonprofit organizations to create affordable housing for people who otherwise couldn’t afford to live there. Goshen leaders wanted to do the same. 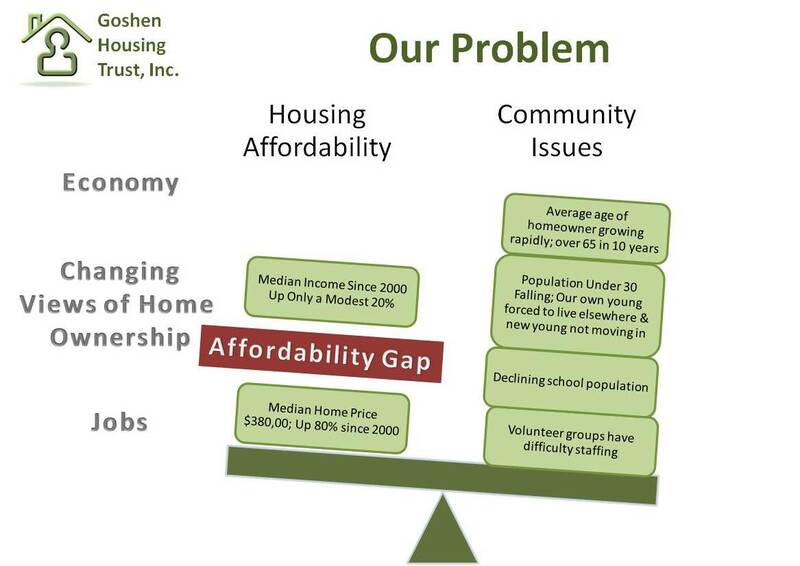 Housing Connections helped Goshen leaders establish a nonprofit organization, includng developing a mission statement and bylaws. The nonprofit status enabled the new group to access vital funding for developing affordable housing. Housing Connections helped the new nonprofit select an experienced consultant and seek a site for its first housing development project. That work is now underway as the group works to secure land for a cluster of affordable single family homes.